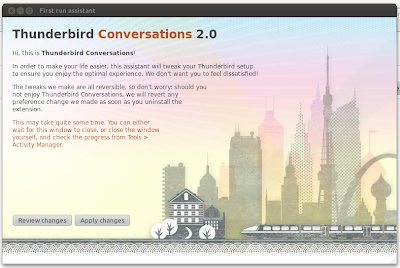 Thunderbird Conversations 2.0 is an add-on for Thunderbird 3.3 that enables Gmail style threaded conversations view. The add-on is currently in alpha stage but it is quite stable so far. 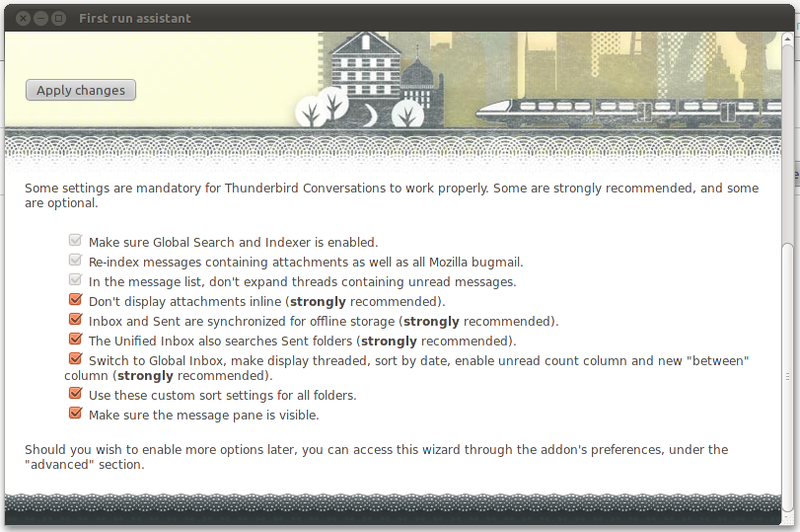 Restart Thunderbird and you will be prompted with initial setup window. P.S. I am really impressed with how fast and intuitive the new Thunderbird feels. Kudos to the Mozilla team. Maybe some day it will become default e-mail client for Ubuntu.